Through the years, I often refer to her book, “Heal your Body” whenever I have an ailment. 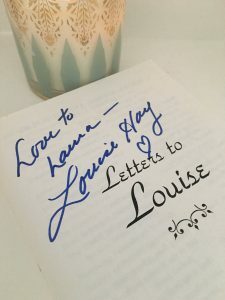 I like to review her book to find the thought pattern associated with the dis-ease and then her corresponding affirmation or new thought pattern to help heal it. 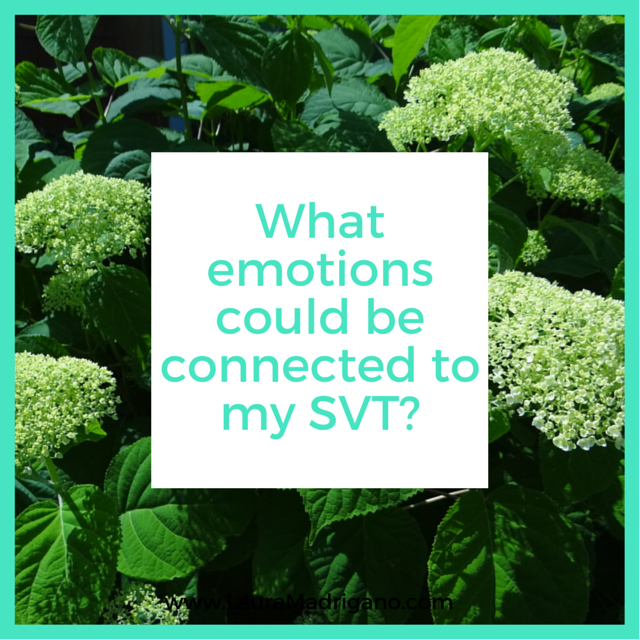 My SVT episodes are definitely triggered by stress. Once I started tracking my episodes and the activities I was doing during and before an episode I started to notice a distinct pattern. Throughout college I would always have an episode just before the semester was starting and during finals week. I also notice that the more behind or stressed I get at work the more episodes I have. I also had multiple episodes the closer I got to my wedding day. I have noticed other triggers as well such as dehydration and humidity but stress seems to be the biggest trigger for me. It is also the trigger that I struggle the most in controlling. I have been battling SVT for 12 years and have never been able to get answers from doctors or specialists. I have seen over 10 doctors and specialists over the years and have spent thousands of dollars in medical bills only to be told that there is nothing that can be done. SVT has taken over my life and I want it back. I’m so glad that I found your blog and to find out that I’m not alone in dealing with this. Thank you for sharing your story and for shedding light on this very misunderstood condition. Your articles have really helped me to think about the triggers of my episodes and I hope that I can get to a point where I can live life without a constant fear of my next episode.